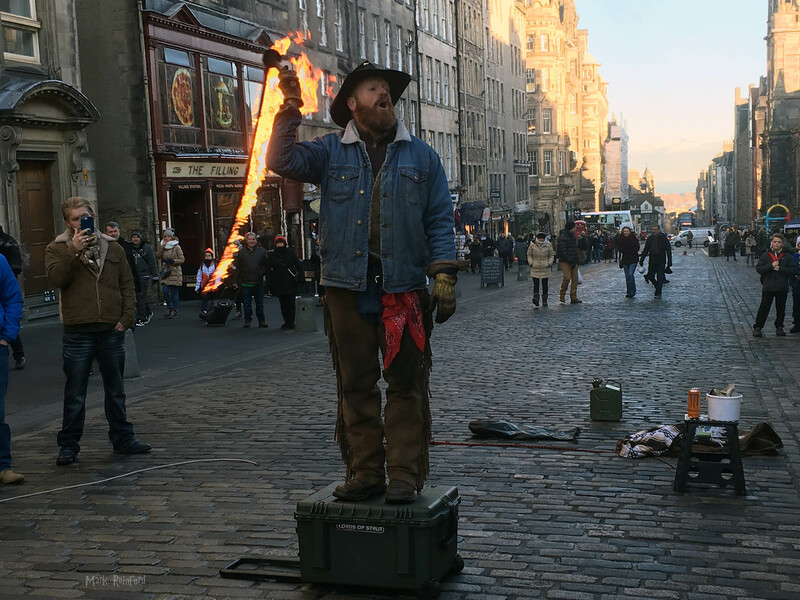 You know the weather is getting better when fire tricks gets swapped for the chains. 😉 – with the festival just around the corner some street performers have already arrived. 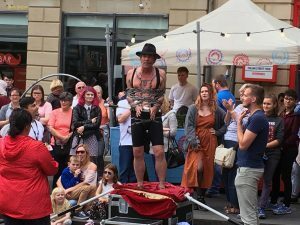 This entry was posted in Festival, Photo and tagged Festival, street performer, Todd Various on May 25, 2018 by Mark Rainford. 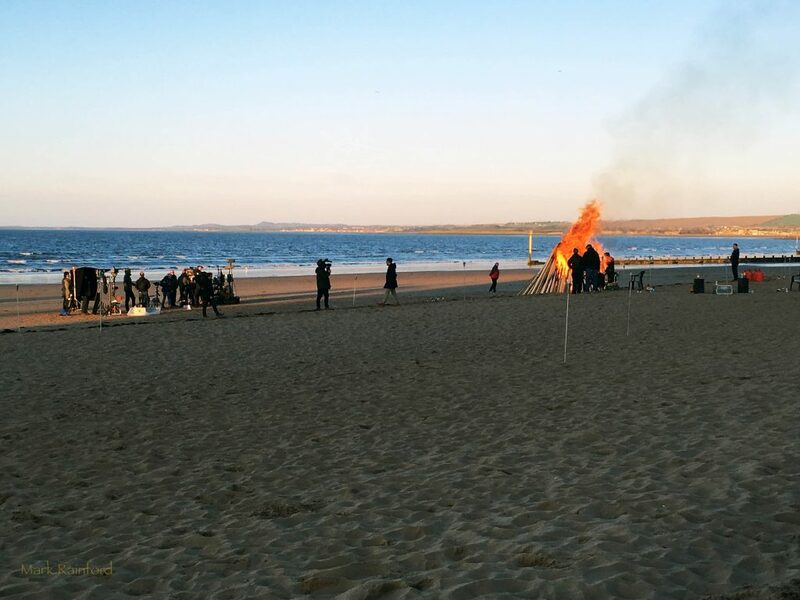 The BBC are filming something on Portobello Beach tonight – Along with the bonfire they are also playing The Doors, Light My Fire … I’m assuming it’s something to do with fire. – Probably some rubbish that will be on BBC 3 at some obscure date/time. 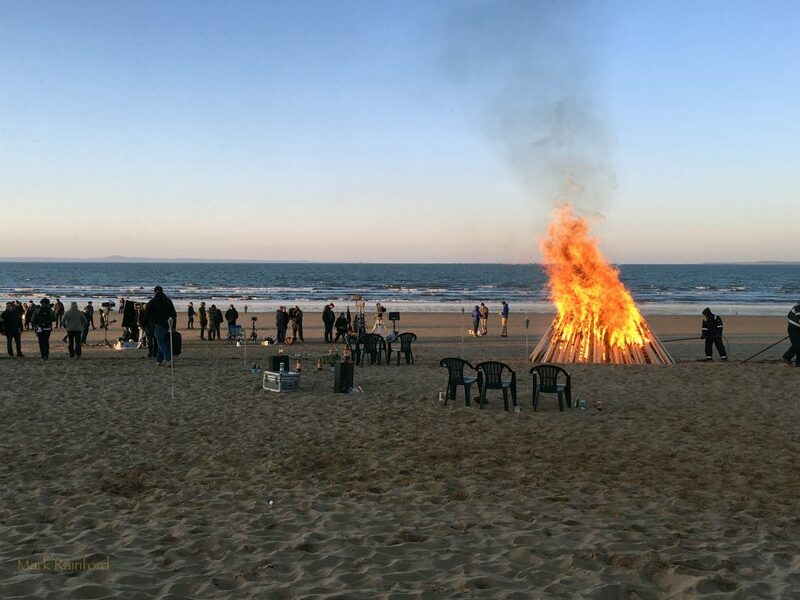 – nevertheless they better tidy up after themselves. 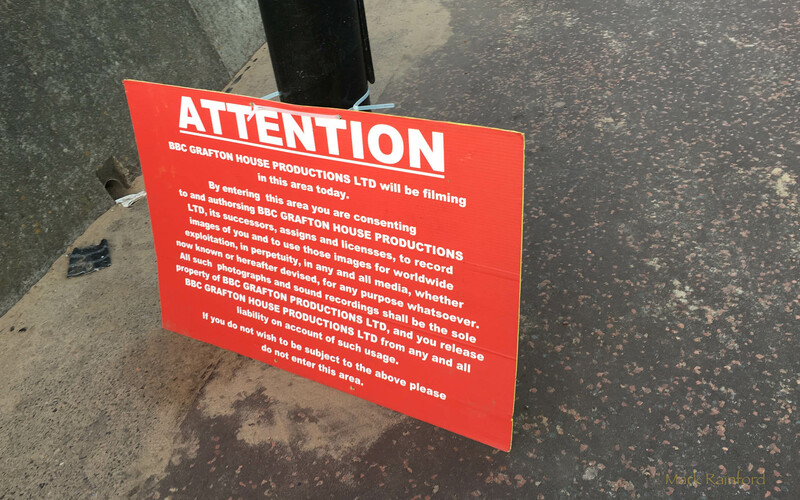 This entry was posted in Film, Photo and tagged BBC, Beach, Filming, Portobello, Portobello Beach on April 30, 2018 by Mark Rainford. 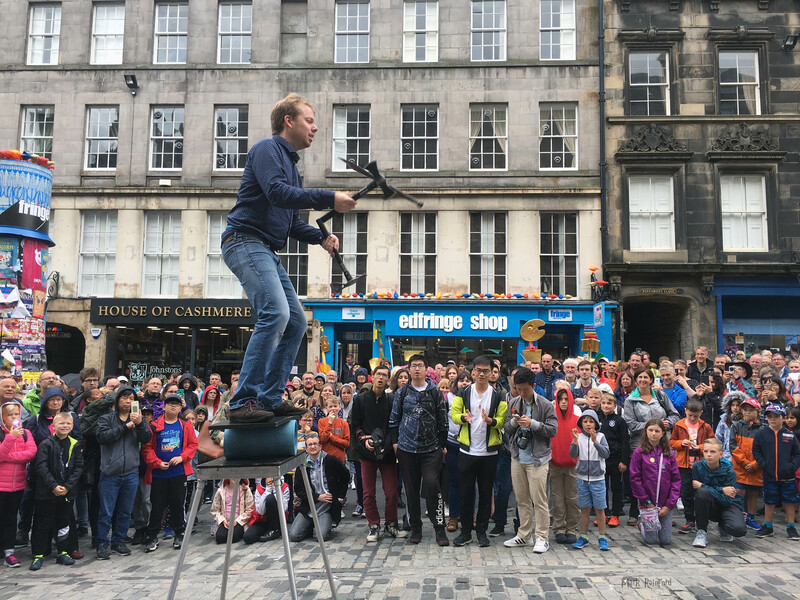 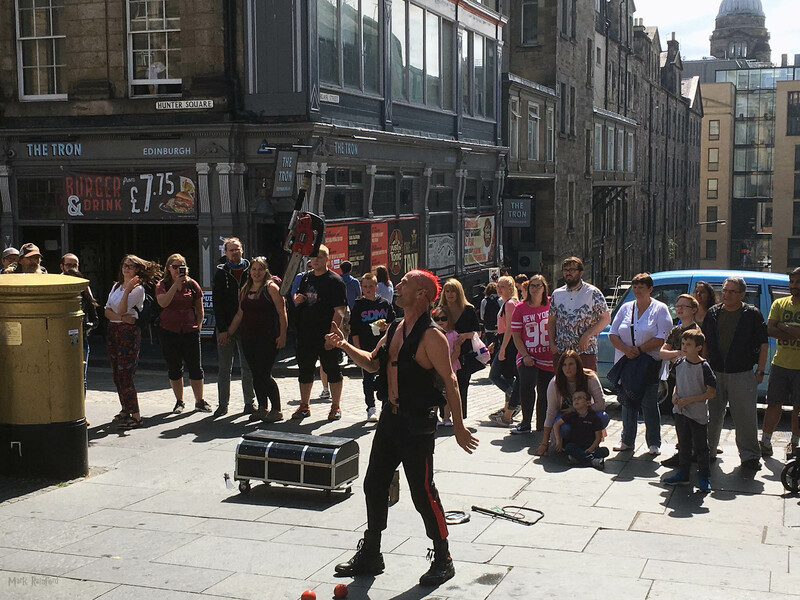 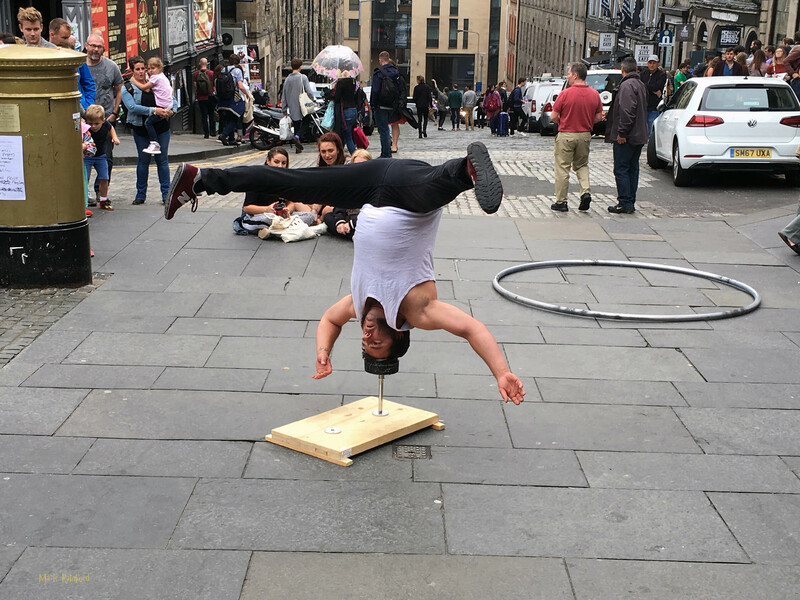 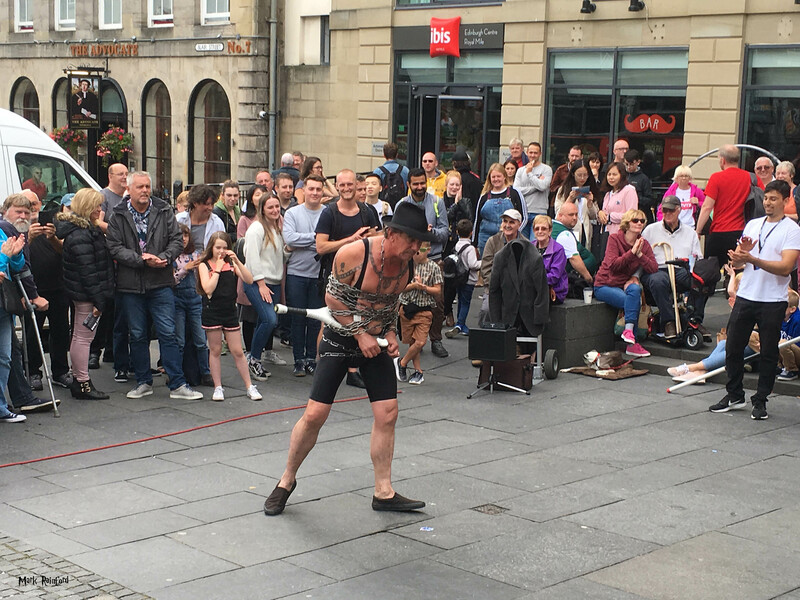 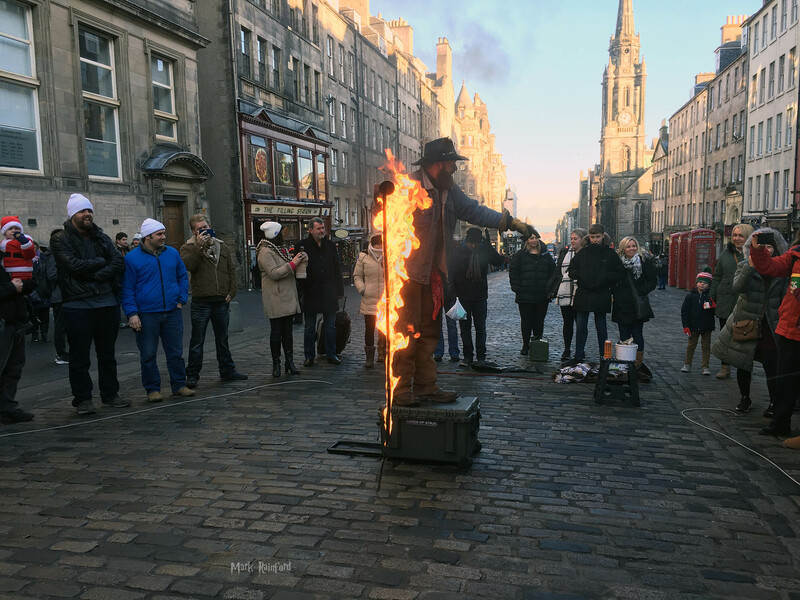 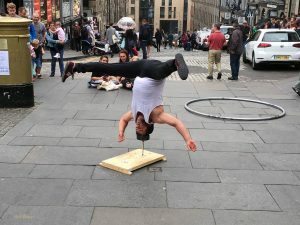 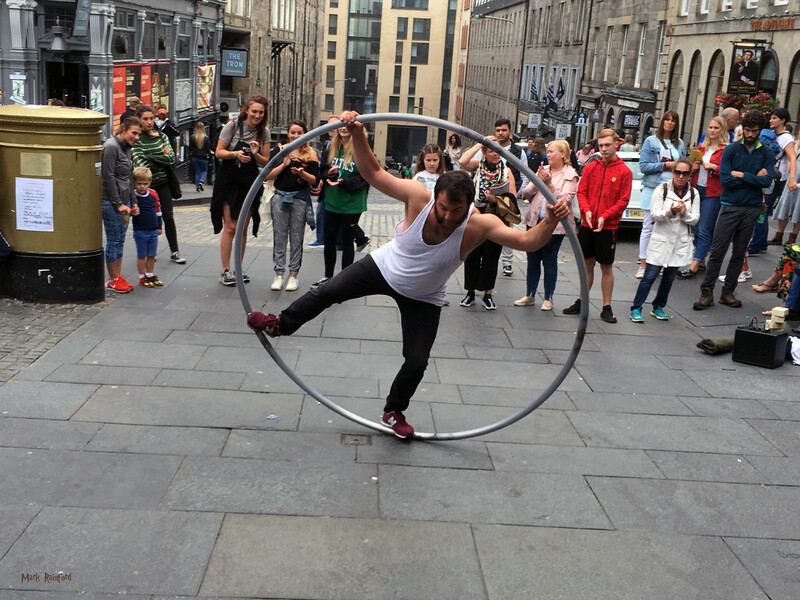 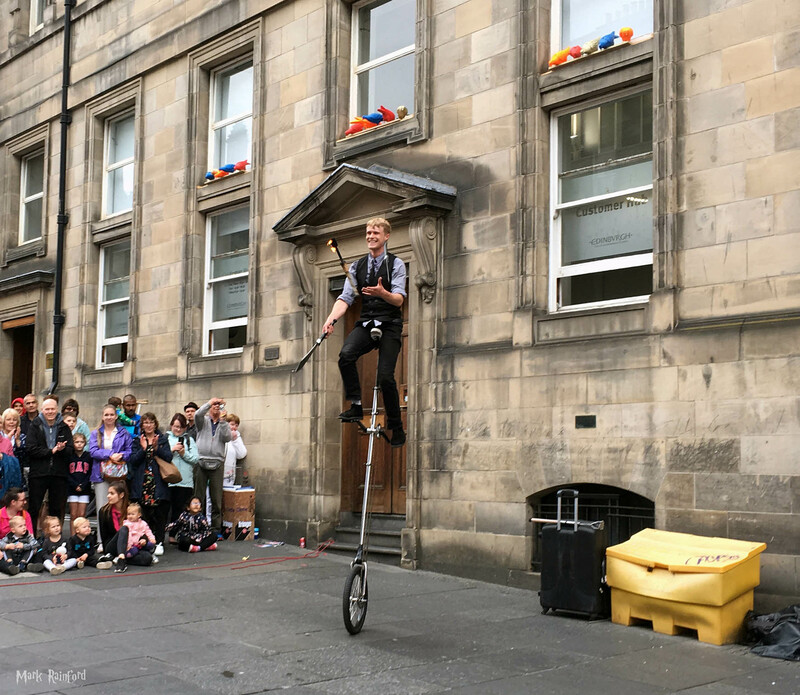 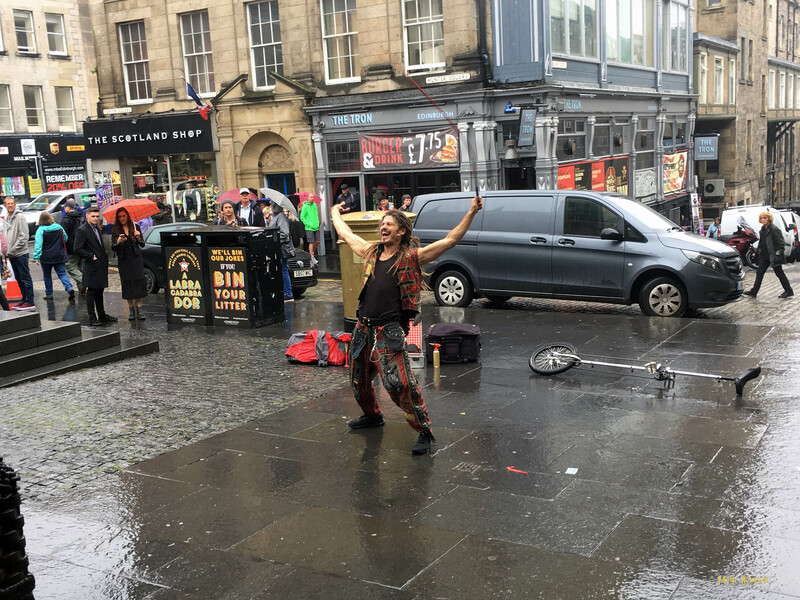 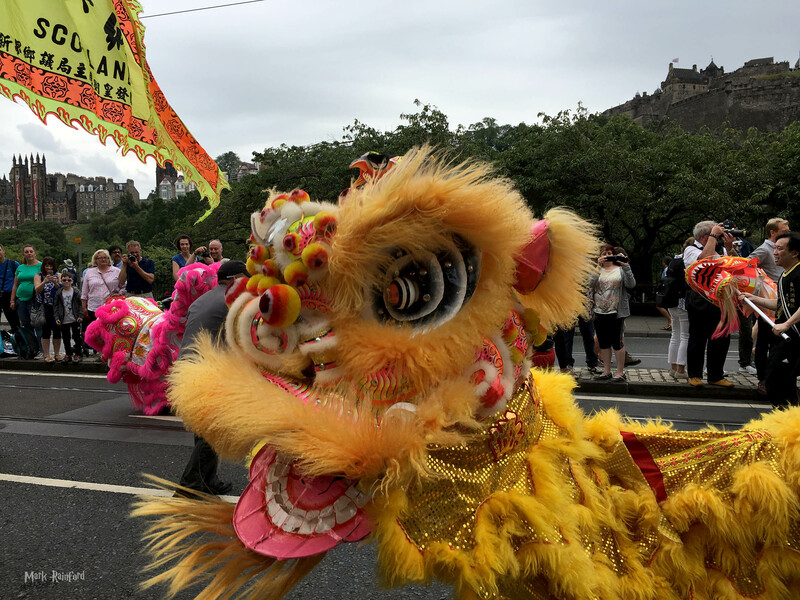 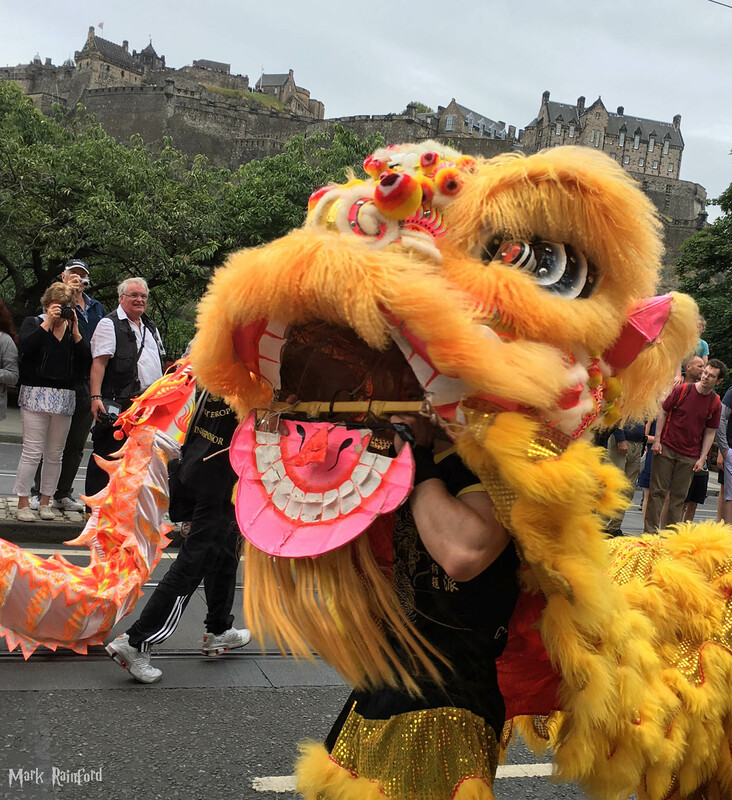 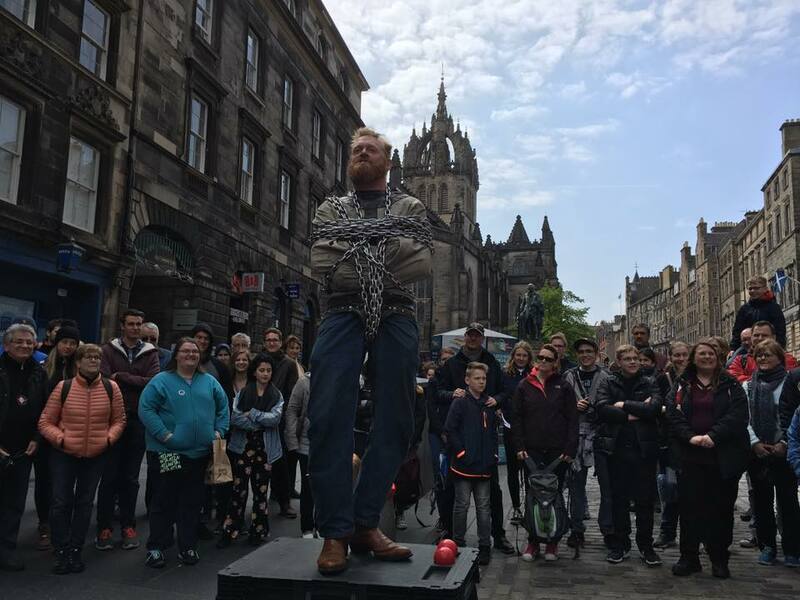 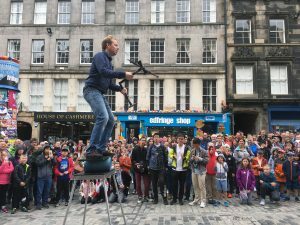 This talented street performer is called Todd Various playing his character Duke Loopin, chances are you will find him plying his trade most Sundays on the Royal Mile. 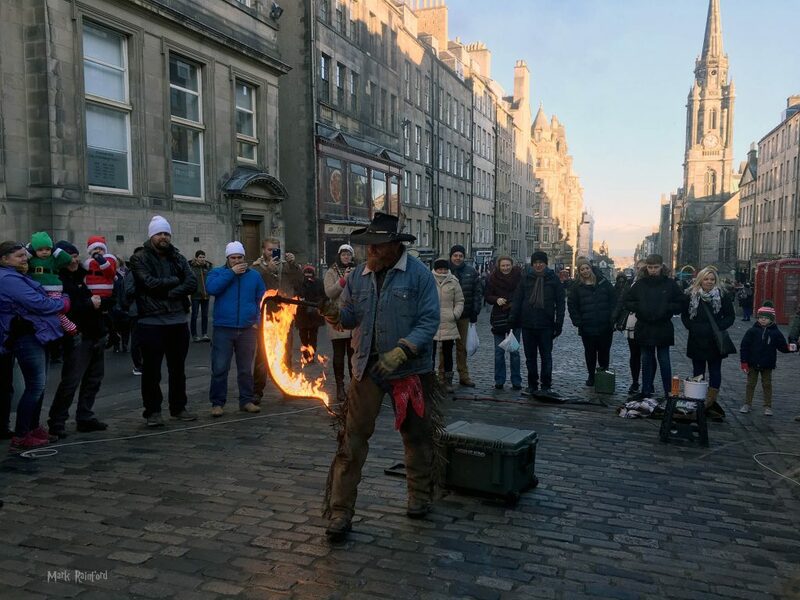 This entry was posted in Festival, Photo and tagged Duke Loopin, Fire, street performer, Todd Various, whip on December 11, 2017 by Mark Rainford. 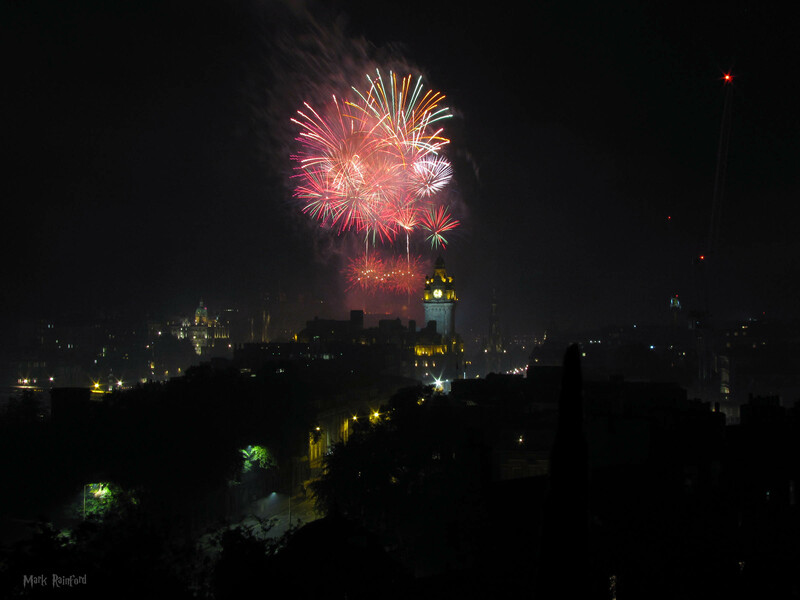 Another shot of the Christmas Sky Flyer, Perhaps the last from Princes Street Gardens! As something peculiar happened this afternoon that left me somewhat bamboozled. 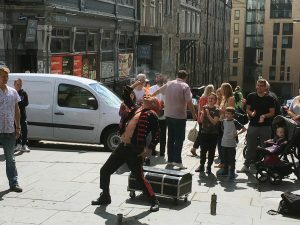 I was approached by two security staff, who clearly didn’t want to be there. 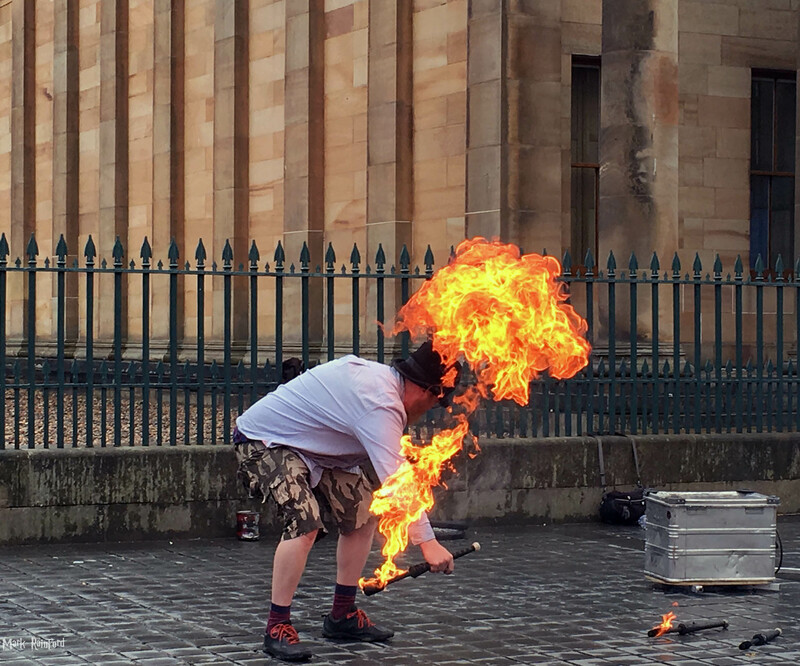 Me – I’m not filming, it’s long exposure photography. 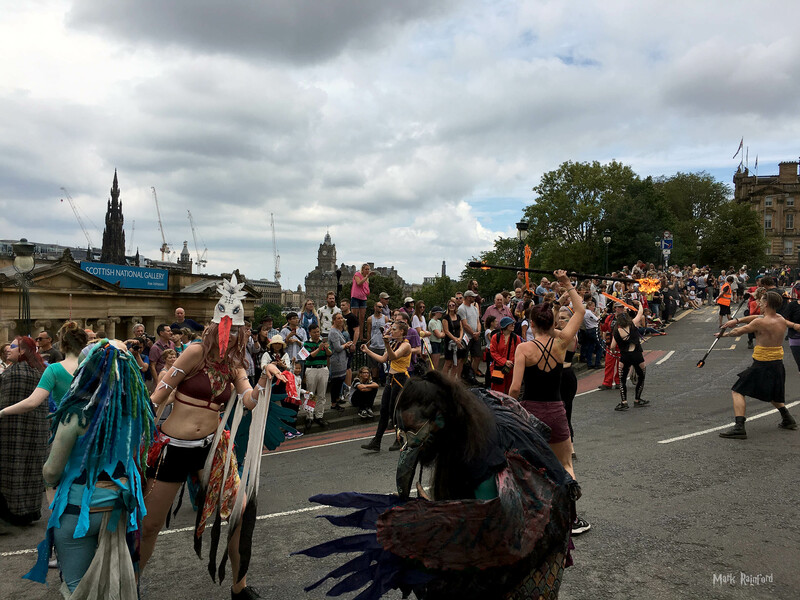 They could not give me a reasonably answer why, that area is forbidden. 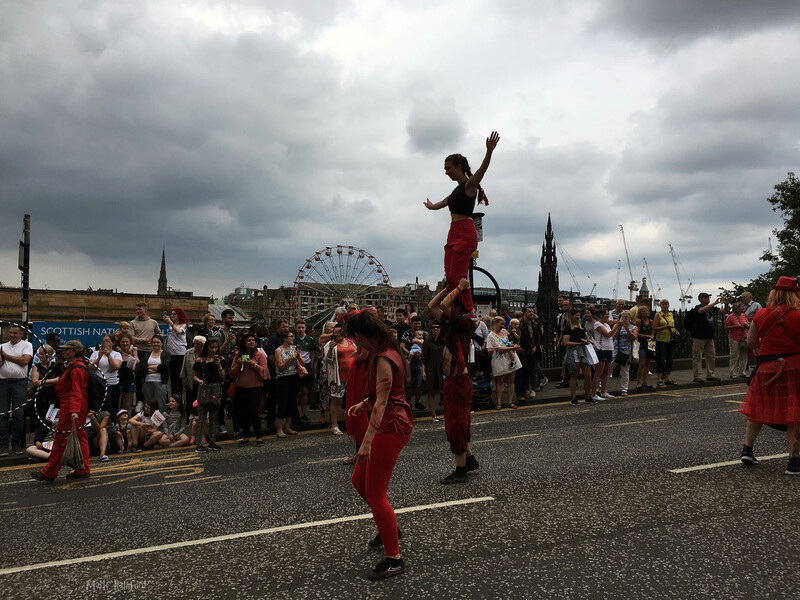 This entry was posted in Christmas, Festival, Photo and tagged Christmas, Christmas Attractions, Edinburgh, Sky Flyer on December 2, 2017 by Mark Rainford. 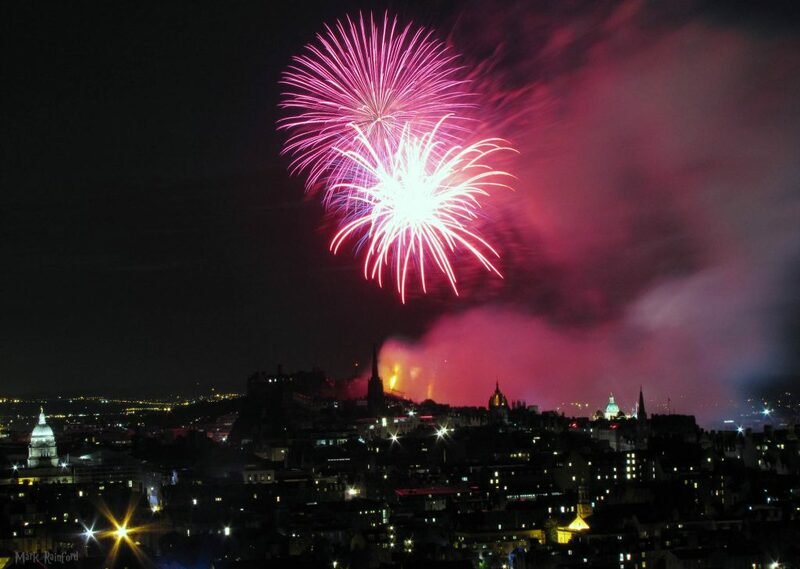 Its that time on the year it’s perfect to experiment with long exposure photos. 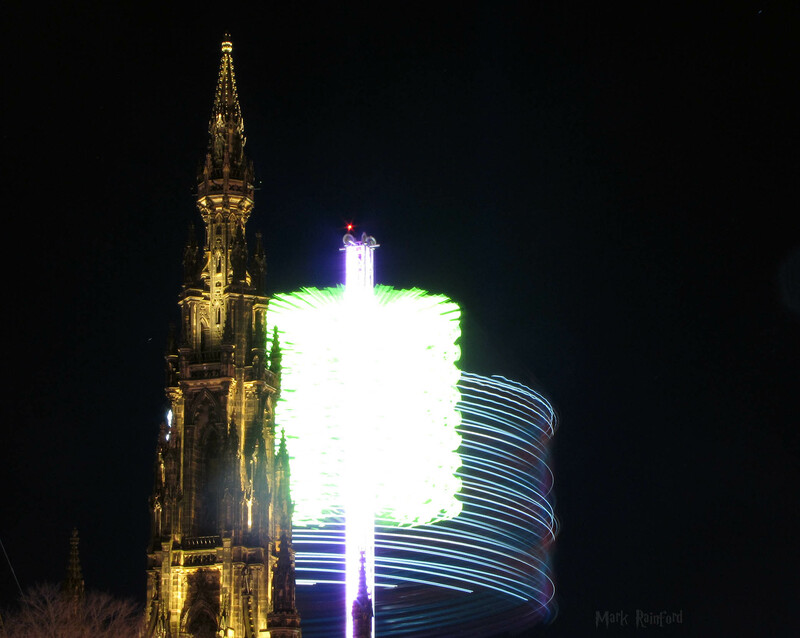 FIrst shot as always – the Scott Monument with the Sky Flyer. 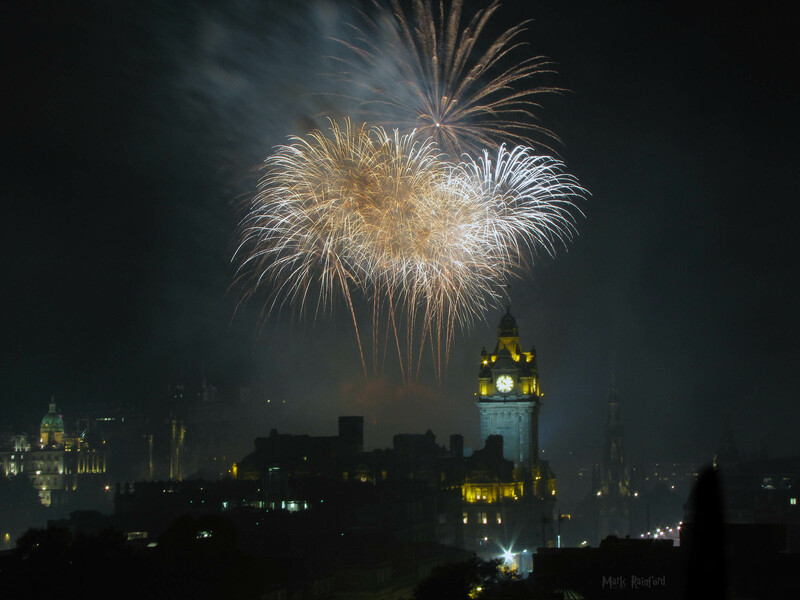 Alas, my camera maximum is 15 seconds.. (time to upgrade ) I’ll upload more to my sites and social media over the next wee while. – constructive comments always welcome. 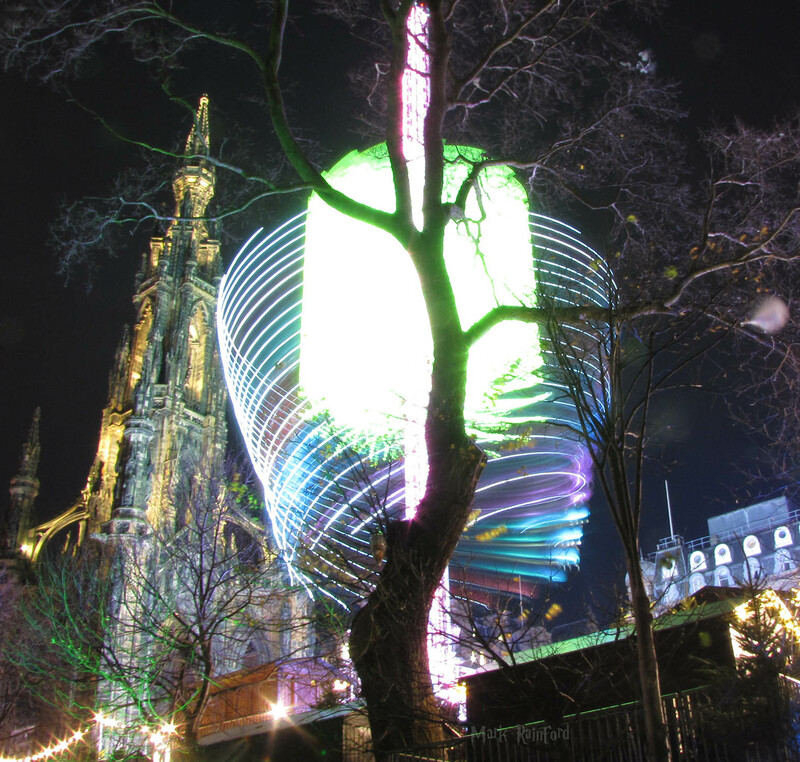 This entry was posted in Christmas, Festival, Photo and tagged Christmas, Christmas Attractions, Photo, Scott Monument, Sky Flyer on November 23, 2017 by Mark Rainford.